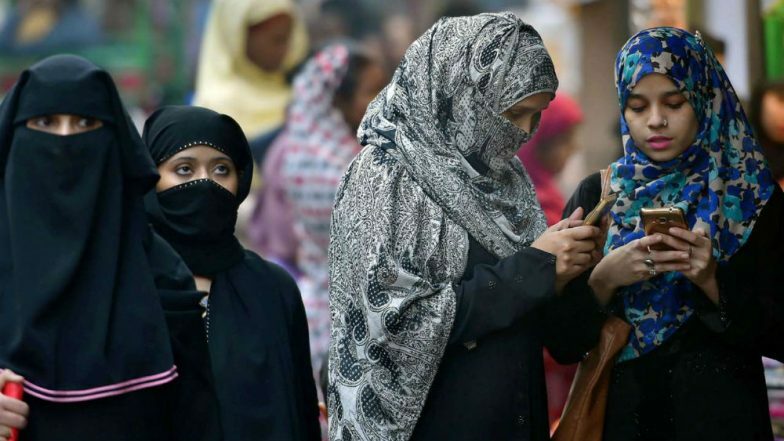 New Delhi, April 16: The Supreme Court on Tuesday issued notice to the Centre, National Commission for Women, Central Waqf Council and All India Muslim Personal Law Board (AIMPLB) on a plea seeking direction that Muslim women be allowed to enter mosques and offer prayers. The petition in the top Court was filed by a Pune based Muslim couple seeking a declaration that the prohibition on entry of Muslim women into mosques in India is illegal and unconstitutional for being violative of Articles 14, 15, 21, 25 and 29 of the Constitution. The plea also seeks direction to declare the prohibition on entry of Muslim women into mosques in the country “illegal and unconstitutional” as it violates of women’s fundamental rights. The petition added that at present, women are allowed to offer prayers at mosques under the Jamaat-e-Islami and Mujahid denominations but they are barred from mosques under the predominant Sunni faction. Allow Muslim Women to Enter All Mosques: Pune Couple's Petition in Supreme Court. According to Bar and Bench, the petition filed through advocate Ashutosh Dubey states that there is nothing in the Quran and the Hadith that requires gender segregation. It is stated that there are diverging opinions among experts in Islamic theology regarding gender segregation. Hence, the petition resorts to equality envisaged in the Constitution of India to contend that the prohibition of females from entering mosques is void and unconstitutional. Muslim Women Come Out With Manifesto for Political Parties, Demand Law Against Mob Lynching. Reports inform that the petition also mentioned that in mosques where women are allowed, there are separate entrances and enclosures for worship for the two genders and stated that there should not be any gender discrimination at all, and that all Muslim women should be allowed to pray in all mosques, cutting across denominations.